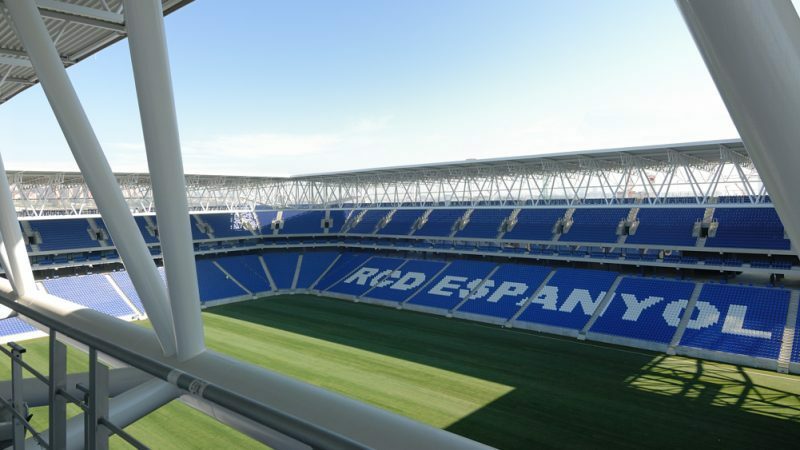 » Portfolio » The stadium of the football club RCD Espanyol de Barcelona, Spain. 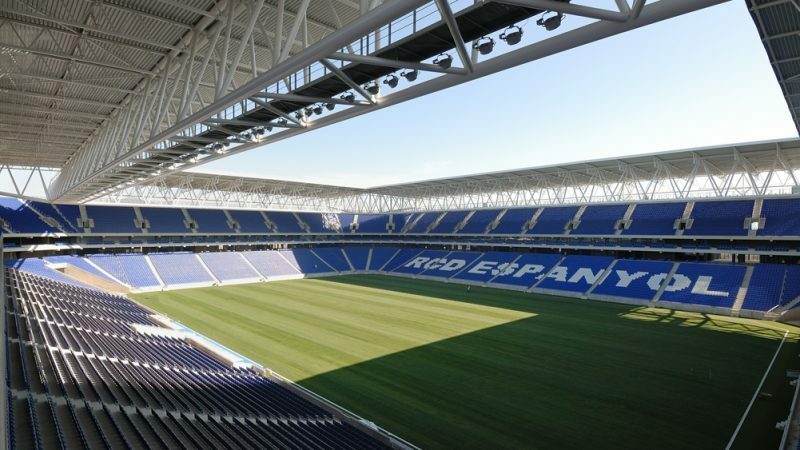 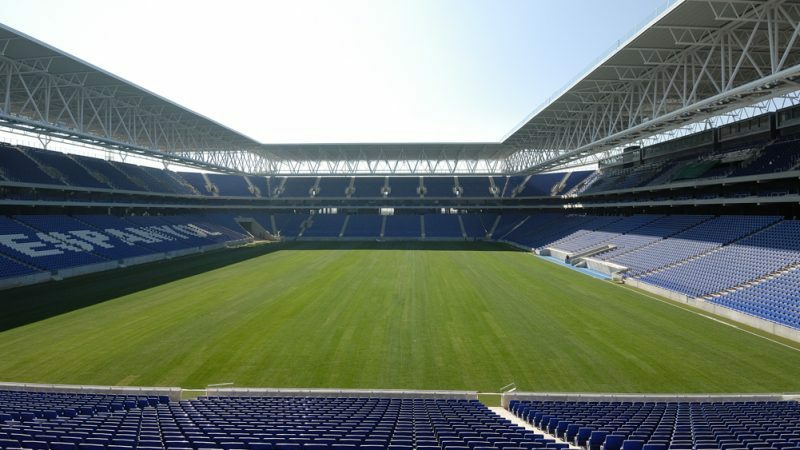 The stadium of the historic football club RCD Espanyol de Barcelona, located in the town of Cornellà-El Prat, has a 4-star rating and a capacity of 40,500 spectators, acting as a reference amongst the stadiums of the Spanish Professional Football League. 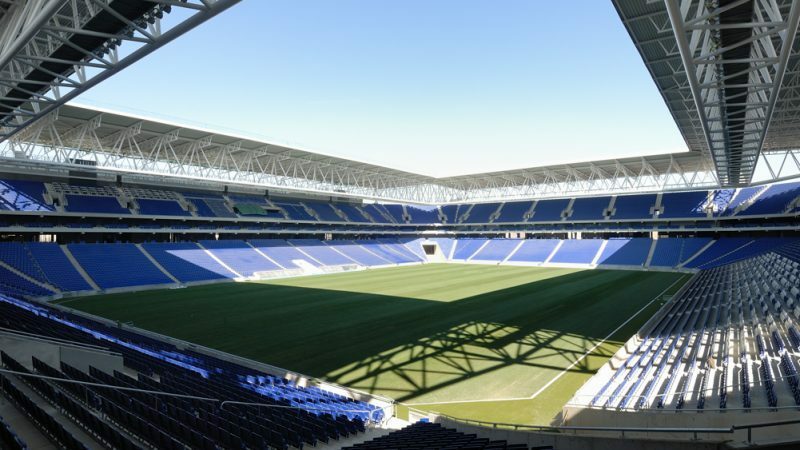 It is built according to the standards of modern stadiums, integrating equipment and services for family leisure activities, as well as a facade that is illuminated with the colours of the Club and the installation of solar panels on the roof.